Having left work a little later than was good for my blood pressure as I sat in traffic, I was very surprised on my arrival at the West Herts to find that none of my usual pre-match companions was present. I went directly to the ground and took my usual seat in the Rookery to find that I was sitting in an acre of space. I tried not to take these events to heart. 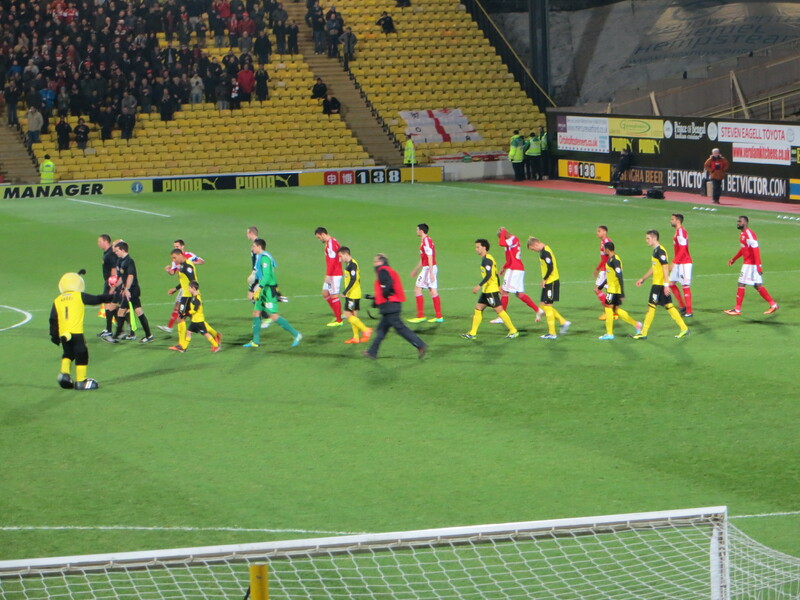 The Rookery did fill up as kick-off approached, but most of those who took the seats around me were unfamiliar faces. The uninspiring performance in the game at Ashton Gate as well as the prospect of a win potentially treating us to another trip to Eastlands had meant that I was not relishing the prospect of this game. Clearly this sentiment was widespread among my fellow season ticket holders. Team news was that Sannino had made seven changes from Saturday. 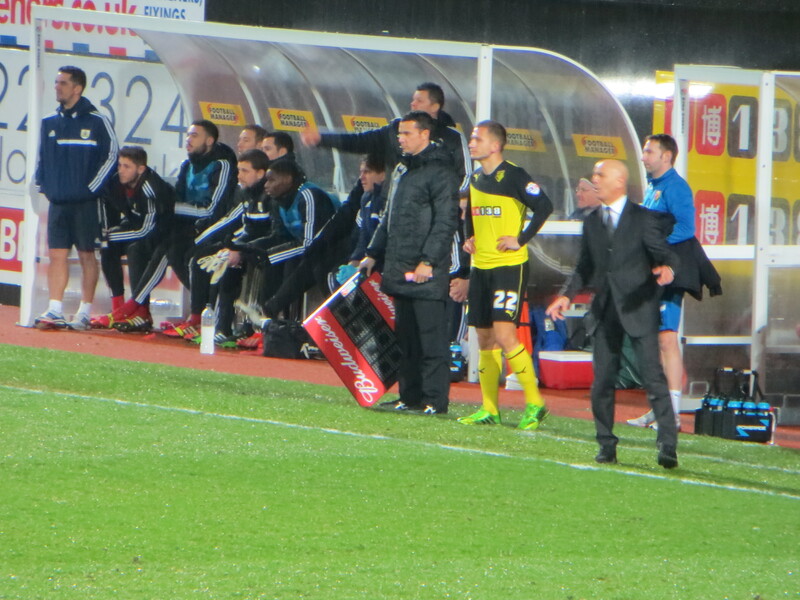 However, none of the changes was radical and the bench was very experienced, unlike in the original fixture. 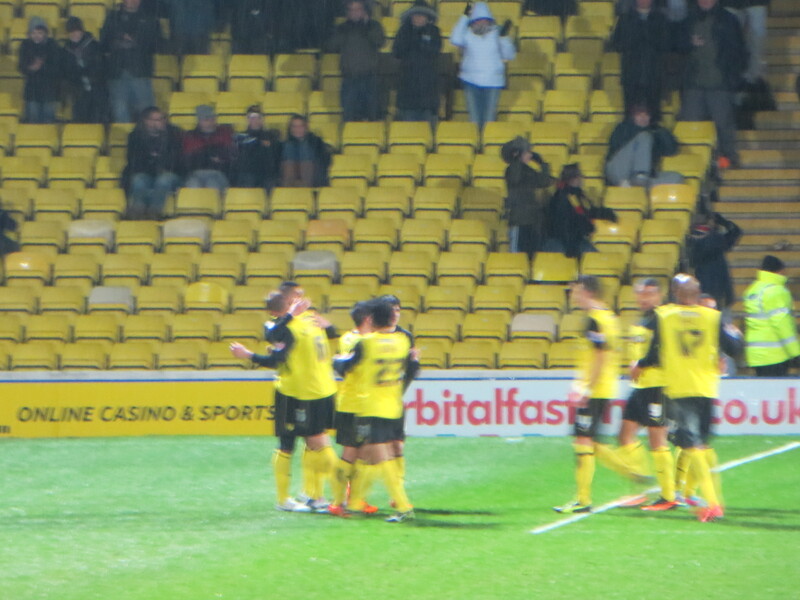 The news that gladdened the hearts of every Hornet was that Almen Abdi was named among the substitutes. After the toss, we changed ends which provoked some disquiet among the superstitious around me. headed a McGugan corner past the far post. It was another McGugan corner that led to the opening goal as the ball was headed out to Faraoni whose shot appeared to bounce off two or three City players before going in to the net. It wasn’t pretty, but they all count. Forestieri’s attempt to double the lead soon after resulted in a disappointing shot from the edge of the box that was well over the crossbar. Into the last five minutes of the half, Emmanuel-Thomas shot from the edge of the area, but his shot was well held by Bond. 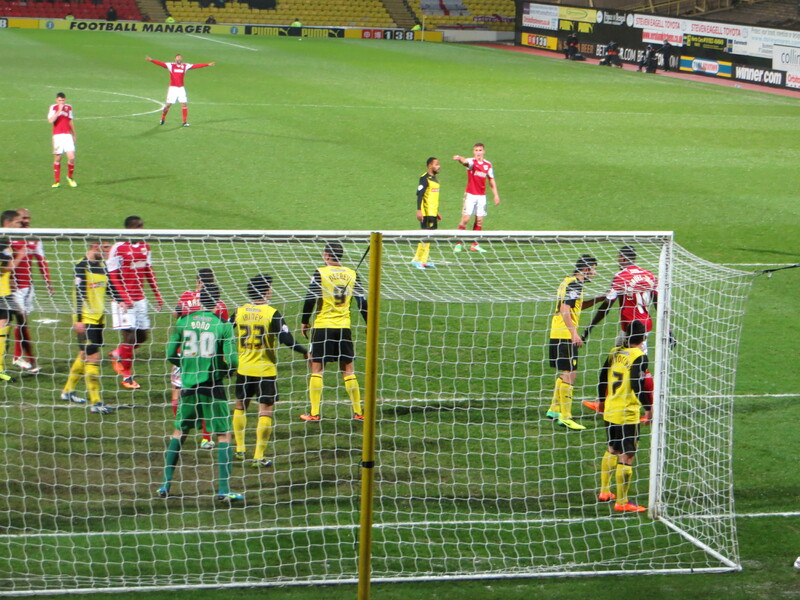 Then Anya found Forestieri whose shot was deflected wide. In the final attack before the break, a lovely City move saw Reid feed Elliott and then get on the end of his cross but shoot agonizingly over. We were slightly fortunate to be ahead at half-time. 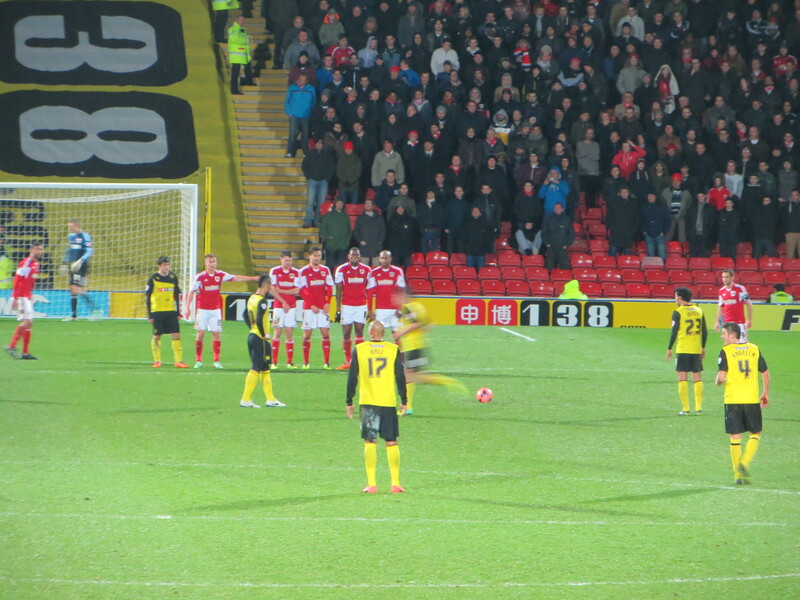 well wide of the near post. 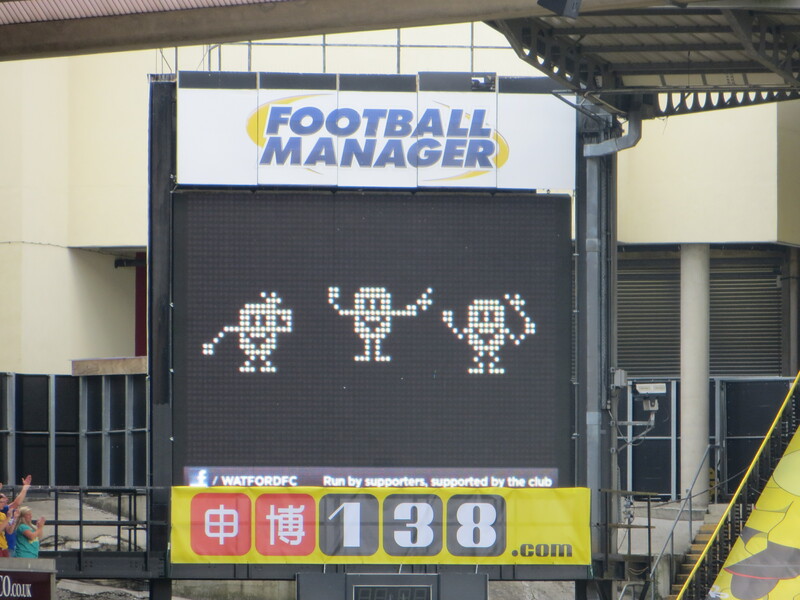 The frustration began to show in the visitors as Wagstaff was booked for kicking the ball away. With five minutes remaining Pudil replaced Anya. 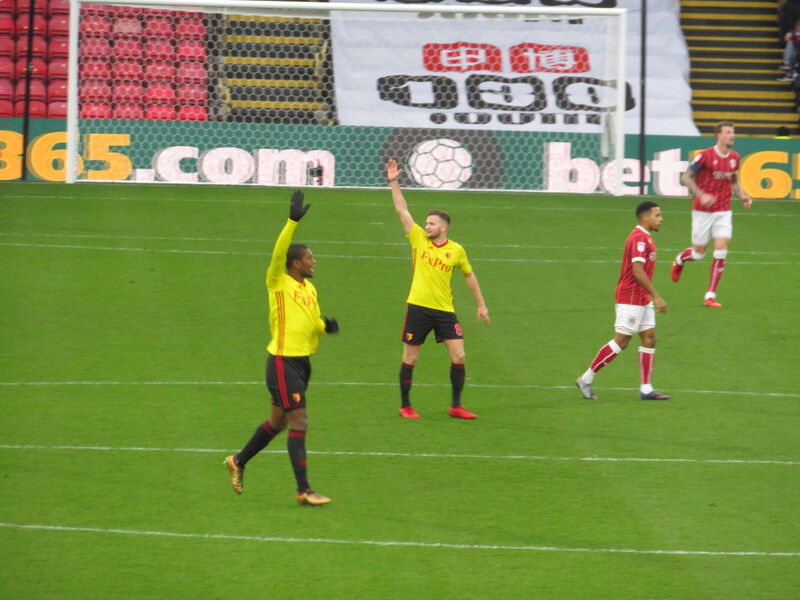 The last action of note was a bit of a scramble in the Watford box, but Bond was able to poke the ball clear and maintain the clean sheet. The final whistle went to cheers from the home crowd. 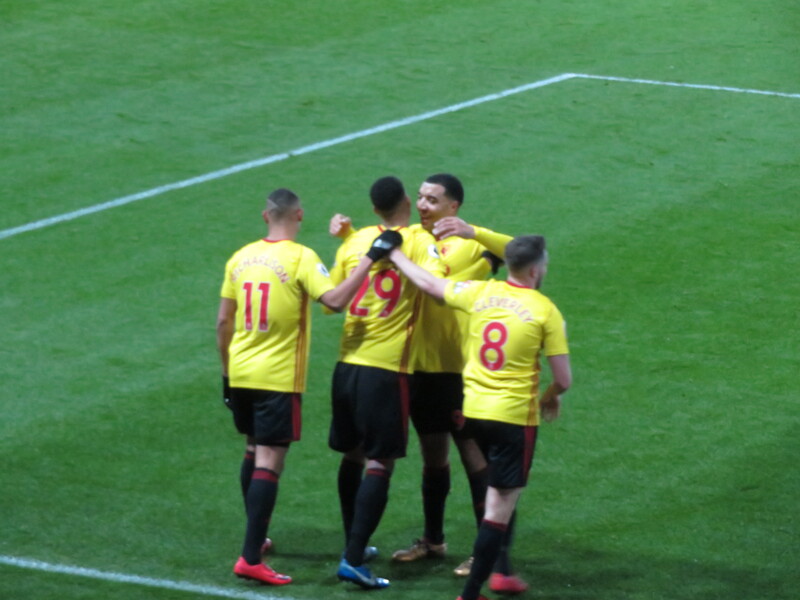 The performance was considerably better than that at Ashton Gate and, while the Robins had their chances, Bond was never really tested and Watford looked increasingly in control as the game went on. After going ahead, we never really looked like losing. Hall had a great game in the centre of defence, with the change in formation allowing the always impressive Angella a chance to break forward. 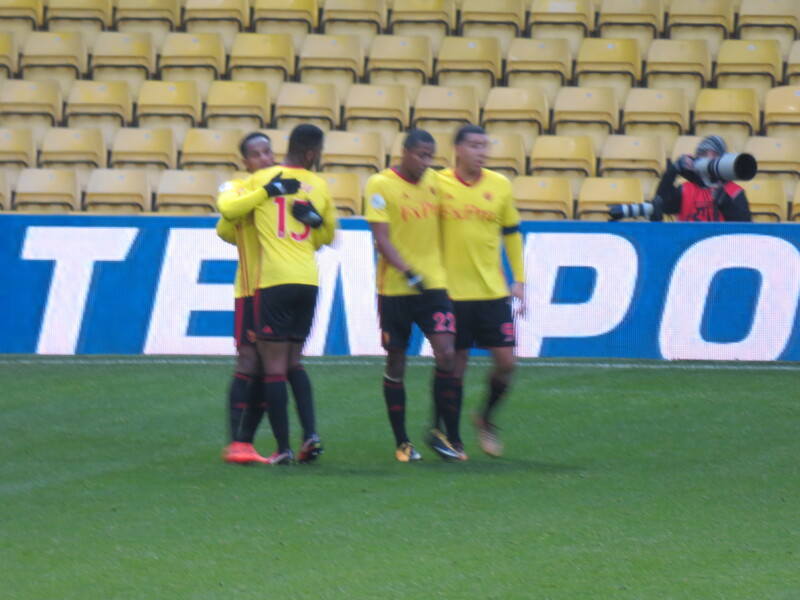 It was wonderful to see Abdi back, his mere presence on the pitch seems to induce a calm. Let’s hope that he is a fixture in the team again very soon. Despite my lack of appetite for another trip to either the Etihad or Ewood Park, that win cheered me up no end and should give us some momentum for the upcoming games. 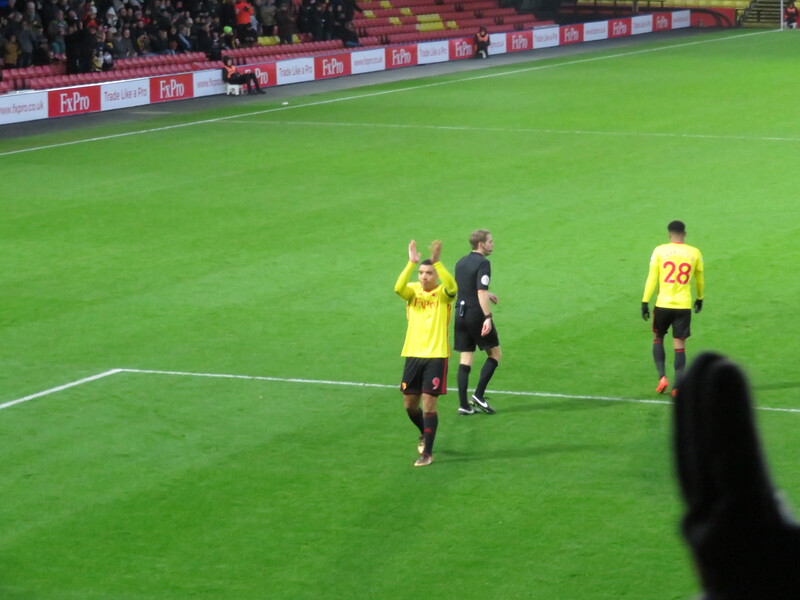 This entry was posted in Watford FC and tagged Almen Abdi, Bobby Reid, Brendan Moloney, Bristol City FC, Cristian Battocchio, Daniel Pudil, Elliott Parish, Fernando Forestieri, Fitz Hall, Gabriele Angella, Ikechi Anya, Iriney, Jay Emmanuel-Thomas, Joe Bryan, Joel Ekstrand, Jonathan Bond, Lewis McGugan, Marco Davide Faraoni, Marlon Pack, Marvin Elliott, Sam Baldock, Scott Wagstaff, Troy Deeney, Watford FC on January 15, 2014 by franelynn.